While speaking at the Vanity Fair New Establishment Summit on Tuesday, Iger said he decided the mess at ESPN was important enough for him to pull rank and get directly involved with the cable network’s disciplinary moves. Iger’s comments seem to suggest that he was one of the main reasons why Hill was not punished for her anti-Trump comments. According to the The Hollywood Reporter, it was Iger who influenced the cable network that he oversees, not to punish Hill. 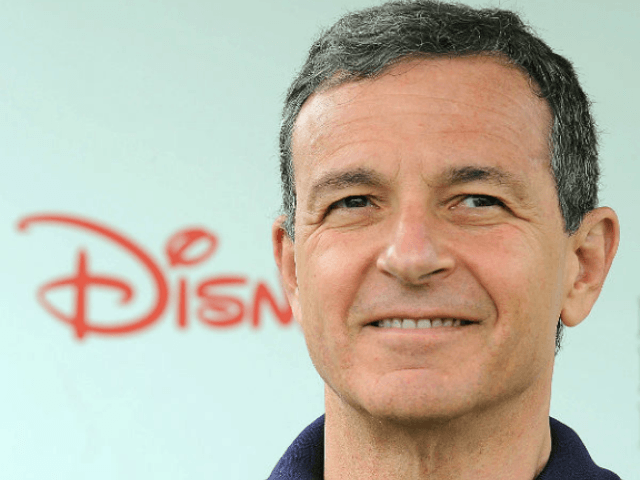 “We certainly have not asked ESPN to be politically leaning,” Iger said, during the event. “Jemele Hill is an ESPN employee, and she can’t separate herself for what she speaks publicly or when she uses Twitter,” he added. “I felt we had to take context into account,” Iger said. He added that ESPN needed to consider “there were a lot of people out there that were outraged” by Trump. So, as far as possible Democrat candidate for president Bob Iger is concerned, it is OK for his employees to call a president untrue, disgusting names because in “context” people are mad at said president. It’s certainly fair to say there were a lot of people outraged at President Obama when Mike Ditka called him, “the worst president we’ve ever had.” Yet, unlike Jemele Hill, Ditka found himself demoted by ESPN less than a week after making those comments. Why didn’t Iger intercede on Ditka’s behalf then? After all, people were angry. Or, did Iger feel that the “context” surrounding Hill was more worthy of protection, because if he disciplined her, it would ruin his chances of winning the Democratic nomination in 2020. Given that Iger’s cable sports network has fired or demoted numerous conservatives for far less, it’s pretty clear to see which context Iger cares about.